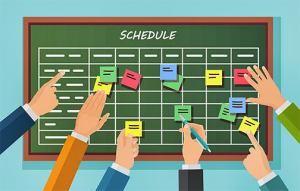 Flexible scheduling allows you to create events how you want. Create a master schedule that gets pushed down to squads. Now you can create schedules squad by squad. The events can be moved to the organization calendar. It’s up to you. Our sports team management software offers central and distributed control. You determine who can add, edit, and view different types of events. You can limit game scheduling to central administrators. Game schedules can be visible to everyone. You can have coaches schedule an ad hoc practice and make it visible only to that squad’s roster. You can create squad based events or events for the entire organization. You can quickly and precisely tailor your games to just the right audiences. 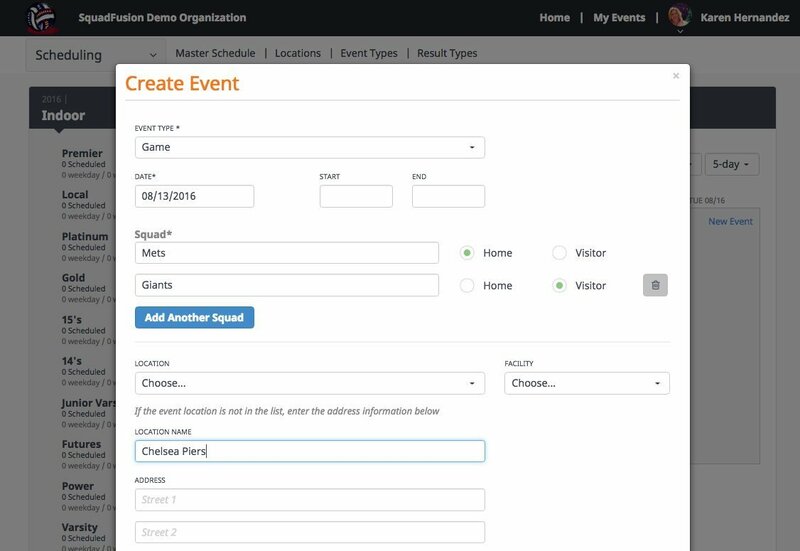 Besides creating squad-based events, you can create events for the entire organization. You can easily and precisely tailor your events to just the right audiences. For each type of event, you can track participant and/or coach availability. You can also track who attends each event. Beyond that, you can track who attends. Tracking is available whether they said they were coming or not. Want to see who always says they will be there for games but then fails to show? You may want to track how many practices players have attended? You may want to follow how many events each volunteer has attended? A piece of cake! SquadFusion Sports League Scheduling Software can generate smart notifications without being spam generators. Members can tailor event notifications to suit their preferences. You can choose how far in advance to send reminders, whether to repeat them and more. When no one knows what’s going on, they get frustrated. When people get a glut of notifications, they delete them without looking at them. SquadFusion allows you to hit the sweet spot with everyone. You can even customize the results for everyone. Event results feed standings, team stats, and player stats. No more double or triple entry needed. You can assign responsibility for data entry as you see fit. You can tightly control data entry. You can delegate this task to administrators, to coaches for their squads, or team parents. If you or a coach has a unique statistic or result they want to track, SquadFusion can accommodate that. So go ahead, start tracking that specific result to give you and your members some unique insight. SquadFusion works great on smartphones. Your members can take their schedules with them everywhere. If they don’t know where they’re going? One tap on the event and the map is fired up.